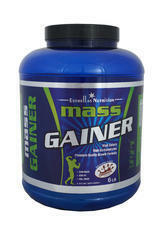 LEAN MASS contains 90 gm carbohydrates, 45 gm proteins, 9 gm BCAA, 4.5 gm Creatine and 594 Kcal of Energy per serving of 150 gm. 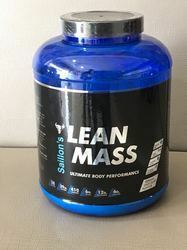 LEAN MASS contains Complex Carbohydrates, Whey and Casein, all naturally derived from milk, which make it a unique combination for faster and leaner weight gain. LEAN MASS contains no steroids.